1968 Sunbeam Arrow Wagon - Someone NEEDS to save this car. As I've mentioned in the past, the Rootes Group holds a special place in my life. 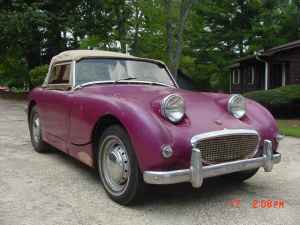 My grandmother was a secretary in Rootes' New York office and I've owned a couple of Sunbeams, one of which was my first British roadster. (I also had a dog I named Rootes. You can see the story of how she got her name here. 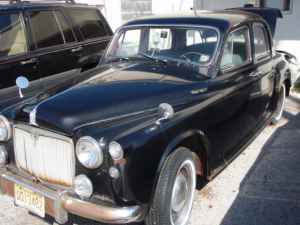 BTW - The car I wrote about in that post is back on Craigslist. You can find the current ad here.) I love seeing interesting Rootes cars in the US. 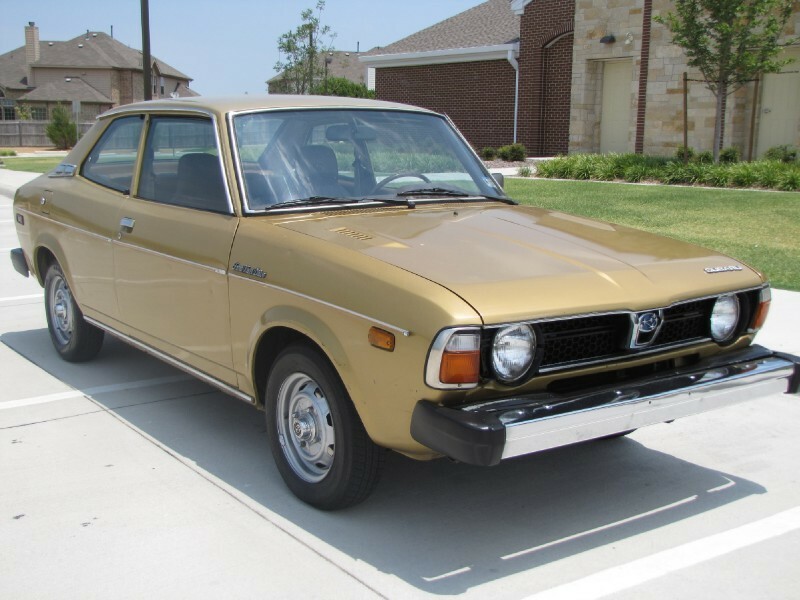 According to the seller, just 169 of these cars were sent here in 1968. I have no reason to doubt that number. I have never seen one in the US before today. The seller says the car is "99% complete", but a "major project". 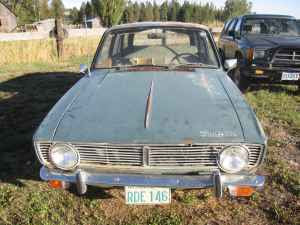 It's been sitting outside for "several decades" and the seller says it "has a lot of sun damage and some rust". The asking price is a super low $300.00. Even if you're not up for a project right now, it would be worth buying, tucking away and restoring it when you have the time. How many of these cars can there be left in North America? 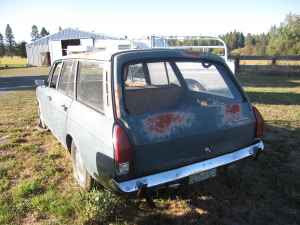 Located in Summerville, OR, click here to see the Craigslist ad. A big thanks to Andrew for bringing this car to my attention via the Just a Car Geek Facebook page. 1958 Rover P4 - This ad is over a month old and has very little info. The 105 was the top of the line P4 in 1958. (There were actually two; the 105R and 105S. The S was sporty - or as sporty as a P4 could be - and the R was more luxurious than the standard P4.). Based on the pictures, the car looks complete and not in terrible condition. The seller says it needs "full restoration". Located in Ft. Lauderdale, FL, click here to see the Craigslist ad. 1958 Austin Healey Bugeye Sprite - According to the seller, this car belonged to a female student at the University of Georgia in 1978. The girl's father repainted it purple and reupholstered the seats with white vinyl. (Obviously her father had a twisted sense of humor... Or he didn't like her very much.) It was originally red over red. In 1978 (the last time it was registered) it developed a rod knock and was put in storage, where it remained until recently. This car is complete (even the side curtains are still with it) and looks like it would be a fairly easy restoration project. Located in Marietta / E Cobb, GA, click here to see the Craigslist ad. Another big thanks to Jon for the link to this car. These were very popular cars in the Northeast. Back in the day, I knew quite a few people who owned DLs. They were cheap and reliable. They were not especially fun or exciting. The DL would run forever, but rust was a major problem. Rust killed many of these cars long before any mechanical problems ever did. This car has just 40,000 miles on it. It is in incredible condition. This may not be on the top of most car geeks list of desirable cars, but it's still a piece of automotive history. It's great to see one in this condition. Located in Lewisville, TX, click here to see the eBay listing. Someone Did! Thanks for posting, it went to enthusiasts, and he is working on restoring it! Thanks for posting it!